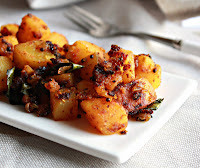 Okra/ Bhindi/ Vendakkai is a favorite at home, we love it in sambar, curry, thayir pachadi and of course not to forget, the fritters/ pakoras. 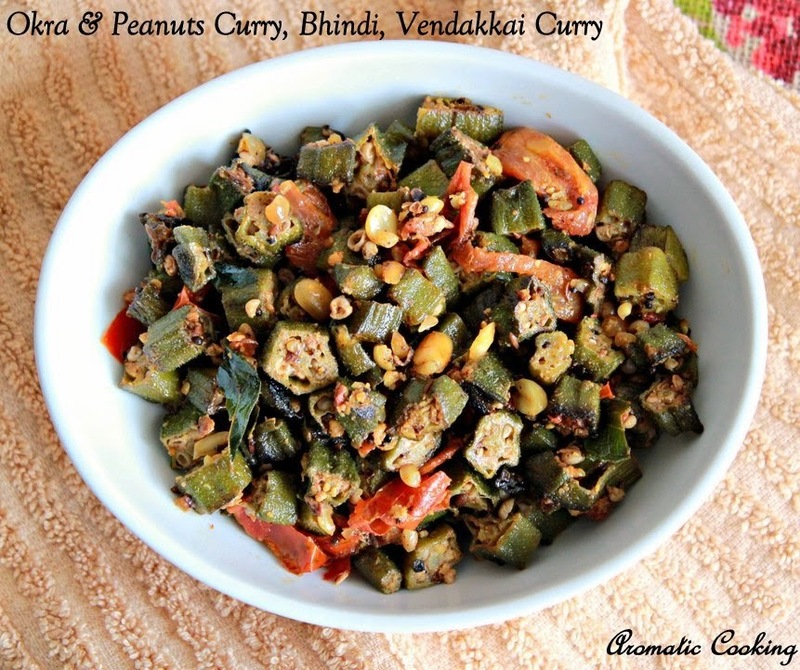 When thinking about doing something other than the above, I made this curry with okra along with some peanuts. 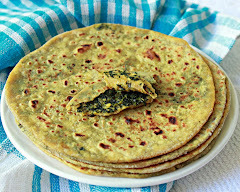 Though the spices added are the regular chilly and coriander powders, the peanuts added at the end gives a nice crunch, the fenugreek powder gives a nice flavor and the curry goes well with both rice and rotis..
Dry roast the peanuts, cool, remove the skin, pound it coarsely and keep. 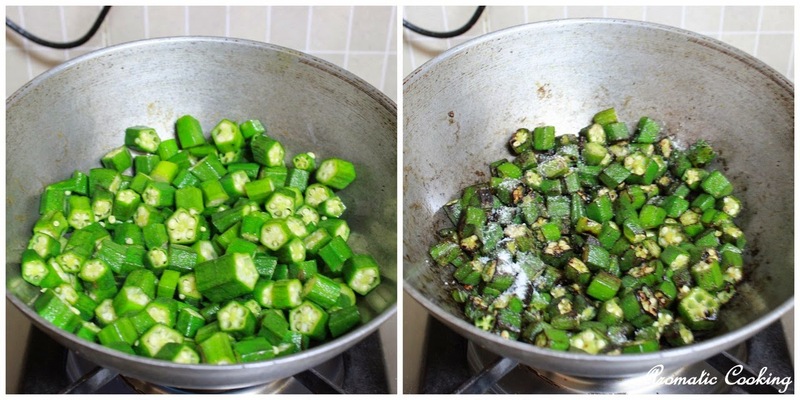 Heat some oil, add the okra pieces and saute them well, add salt towards the end, saute well till done and remove. 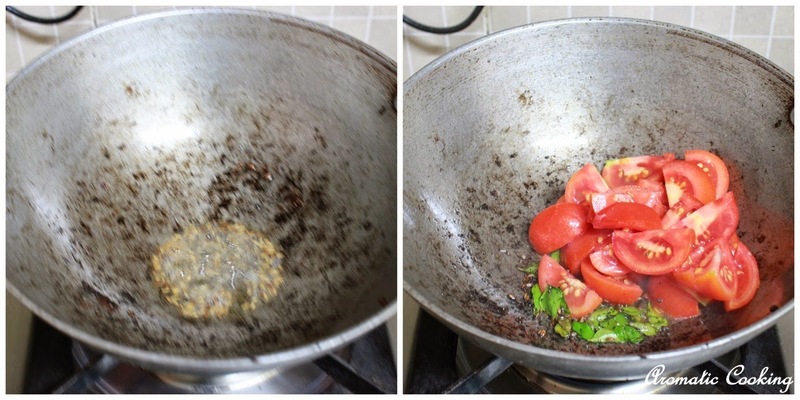 In the same pan, heat some more oil, add the mustard and cumin seeds, when it starts sizzling, add the curry leaves followed by the tomatoes. 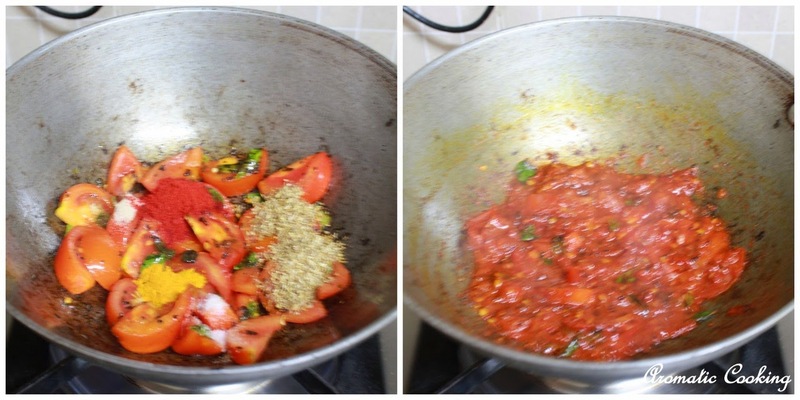 Then add the asafoetida, salt ( little, just for the tomatoes ), turmeric, chilly and coriander powders, cook till the tomatoes become mushy. Now add the okra/ bhindi and fenugreek powder and saute for another 2 minutes. 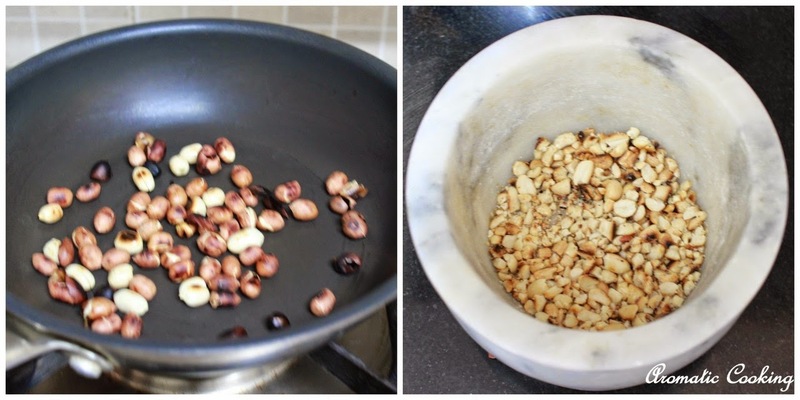 Finally add the pounded peanuts, mix well and serve. Sauteing the okra pieces separately is important, if you add them straight to the tomatoes, it 'll become a mushy mess. 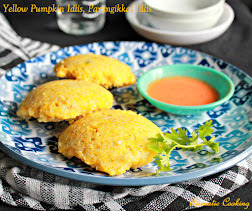 Delicious curry, love the addition of peanuts.. 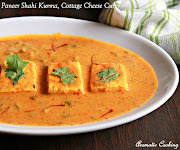 I can imagine having this delicious curry with some chappathis. Pinned it. 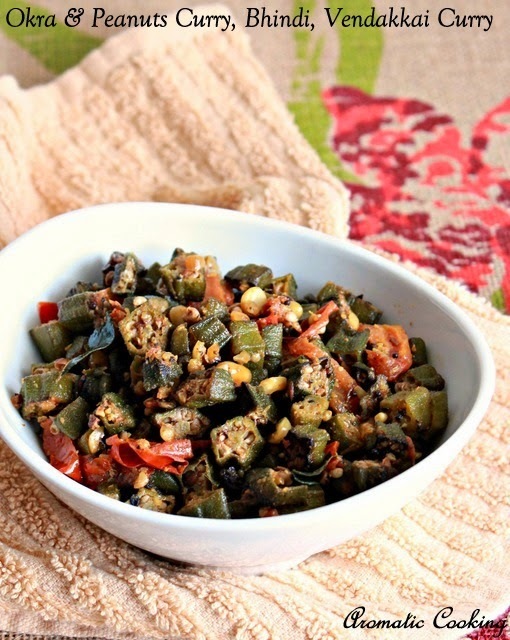 Okra is so rarely used; Your recipe looks inviting!